The giftset comes with a booklet with instructions, the first step is to shake the aerosol can well enough before use. Next up it’s time to start your personal spray tan! There are two ways to apply the natural tanning spray. Just spray it on your skin from about 30 cm’s away and use the tanning mitt to spread the spray tan evenly. Or, and this is my favorite way: Spray the natural tan on the tanning mitt and apply on your skin by using circle movements. When you have applied the spray tan wait for about 15 minutes before you get dressed to make sure you leave no stains on your clothes. Or use a hairdryer to dry up faster. So on the left you see my naked, non tanned legs. Not super white, but not at all tanned, right? In the middle I have one leg ready, can you see which one? And on the right you see both tanned legs right after the spray tan. I love the results so far! Now it’s time to let the tanning spray do it’s job. 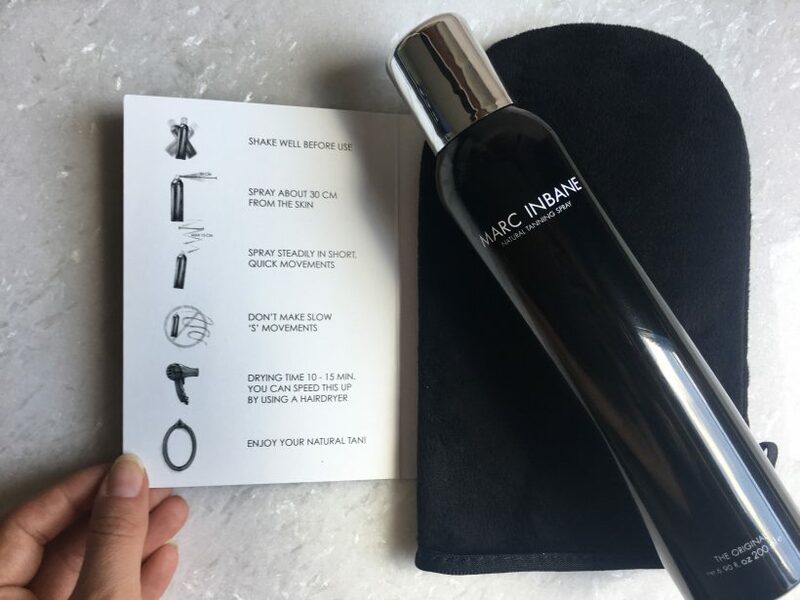 After 6 – 8 hours you can wash of the Marc Inbane natural tanning spray to see the final result! Blonde as I am right now – I just got my hair done again and this time it’s super blonde – I really was in need of a bit of color on my face as well. I was a little bit scared to try this spray out on my face but I love the result! 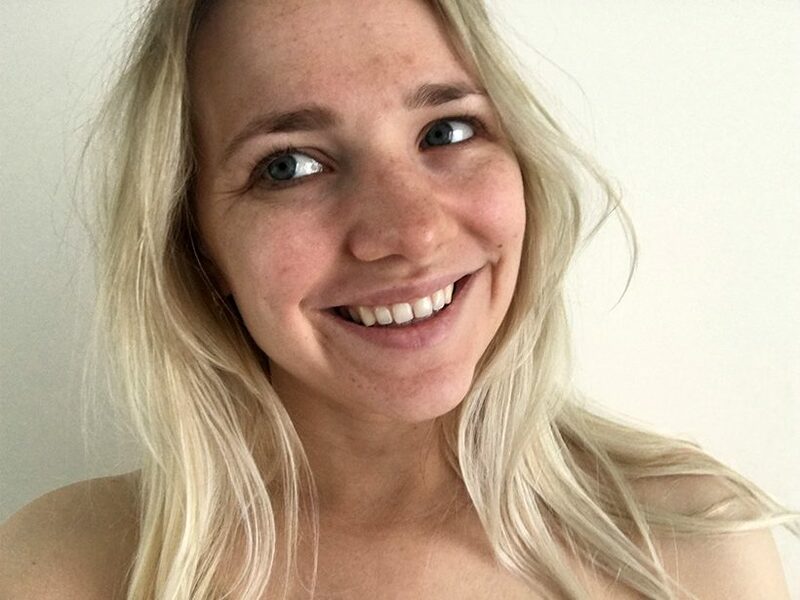 It’s pretty natural, just as if I have been on holiday already! What do you think of the results of the Marc Inbane natural tanning spray?! You can find the giftset I tried at Captain Tan! Disclaimer: This blogpost has been written in collaboration with Captain Tan but all of my opinions are my own.